Lynn Arnold was born in Melbourne on 21 May 1914, the son of Edward Pilcher Arnold and his wife Marion Rhoda nee Walker. On 30 August 1941 at Woollahra, he married Janet McDougall, daughter of Dr Reginald Dougall Bowman and Dr Enid Craig McDougall, and had two sons and one daughter. Lynn Arnold was educated at Melbourne Church of England Grammar School and gained his Bachelor of Electrical Engineering at Melbourne University. He worked with the General Electric Company USA from 1936 to 1937. He joined Rheem Australia Ltd in 1937, becoming General Manager from 1957 to 1968 and Director from 1968 to 1979. From 1972 he was Chairman of Paternoster Partners Ltd. He was a director of many companies including Buka Minerals, Adelaide Steamship Company, Claude Neon Industries Ltd, Martin Wells Holdings, Bulmer Australia Ltd, Permanent Trustee Co Ltd, and T & G Mutual Life Society. His clubs included the Royal Sydney Golf club, the Australian Club, and the MCC in Melbourne. 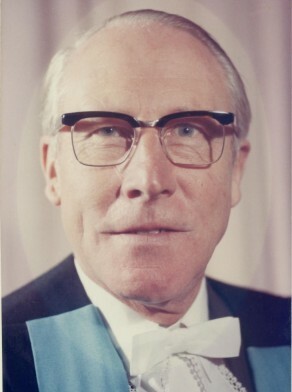 Arnold was Director of the National Safety Council of Australia NSW from 1962 to 1974, becoming NSW President 1964-1968 and a member of the Federal Council 1964–69. He was a director of Ascham School from 1959, a councillor of King’s School from 1962, deputy chairman of Tara Church of England Girls School 1962–69, and councillor of the Blue Mountains Grammar School 1960–70. Lynn Arnold was Alderman for Macquarie Ward, 27 September 1969 to 18 September 1971. He was a member of the Works Committee, 1969-71 and the City Development Committee, 1969-71. Arnold was Council’s representative on the Post-Graduate Civil Engineering Foundation within the University of Sydney, 1971. He represented the Civic Reform Association. He was appointed to the Sydney County Council from 1971 to 1974.